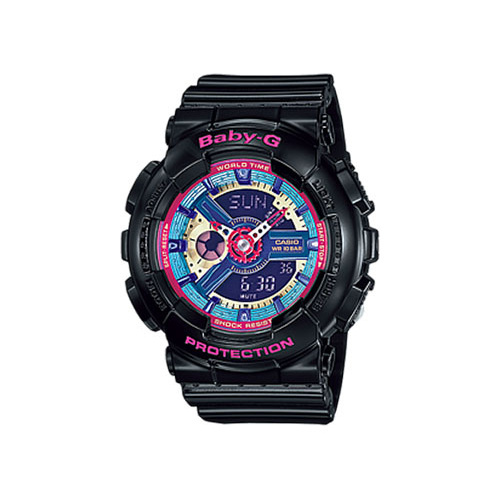 From BABY-G G-LIDE, a collection of new models designed for surfing andjust about anything else the active woman of today decides to do. A multidimensional sculptured structure decorated with sneaker colors results creates a design that always looks great. A protector made of fine resin on the band not only creates an attractive design element, it also helps to protect the back of the watch from impact. The TIDE GRAPH feature normally uses the small hand of the dial at 9 o'clock to indicate current tide information. Each press of the button at 4 o'clock in the Timekeeping Mode advances the tide information indicated by the dial hand by one hour. A great design, powerful features to support surfing activities and much more makes these models the perfect choice for today's active woman.